Want to do some diving scuba in Thailand? Thailand has some superb Wreck diving sites. Wreck diving is like visiting the past under water. 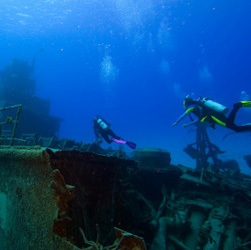 Most wreck dive sites are shipwrecks. That being said - there is an increasing trend to intentionally sink retired ships to create artificial dive sites. One of those sites is the HTMS Krahm in Pattaya. In January 2003 the Thai Navy sunk the HTMS Krahm to create an artificial reef and to create one of Thailand’s Underwater Conservation Park. The Hardeep lies in 25-27 meters of water. She was a 64 meters long freighter and lies on her starboard side. It is fully penetrable, and a great site for getting your Wreck Diver specialty certification. The Petchburi Bremen like the Hardeep, lies in 25-27 meters of water. She was a 110 meters long freighter. She was severely damaged by fire and an explosion in her engine room in the mid 1930s. The HTMS KHRAM lies in 30 meters of water. This is the most popular wreck dive in Pattaya. Depth to the top of the wreck is 15 meters; Depth to the sea bed is 30 meters and Visibility is 5-15 meters. 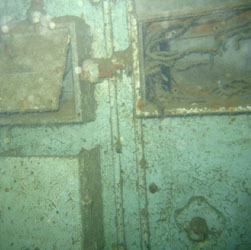 In the last year or two, several other wrecks have been discovered. Due to their remote locations they are neither day trips and not dived as often as the HTMS Khram, Hardeep and the Petchuri Bremen. There is one japanese Tanker and the others are phased-out Thai warships sunk for target practice in the early 70's. 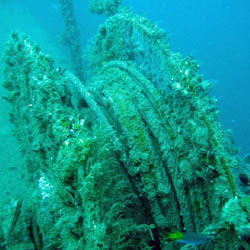 The warship wrecks lie at a depth of about 30 meters at the top. Bottom time is limited unless you are into decompression diving. Attempts to dive the wreck of the Petchuri Bremen has led to Thai Navy patrol boats not allowing dives close to the shipwreck's site. It's that or the wreck just not being found.